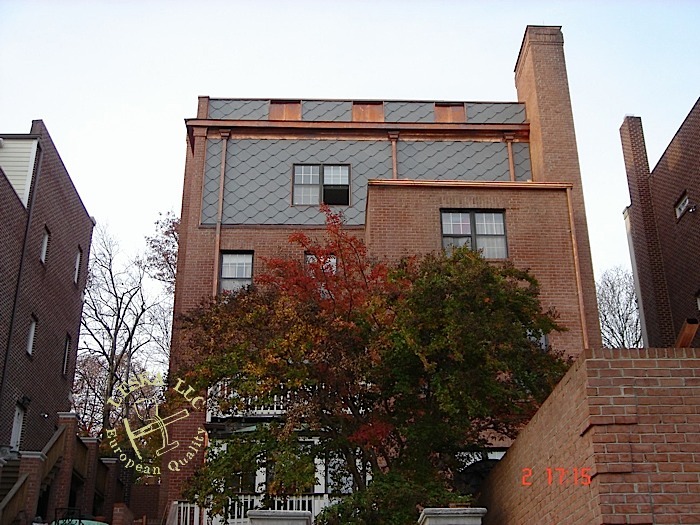 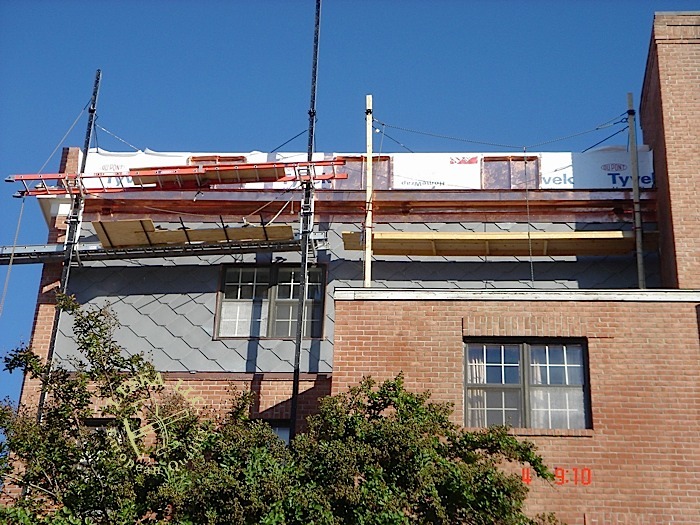 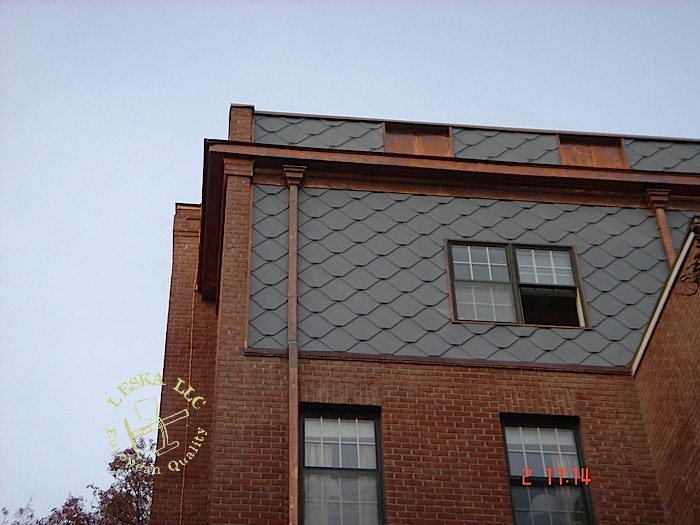 Leska have installed Atas Castletop zinc diamond shape tile as wall cladding or siding application on this home in Washington DC. 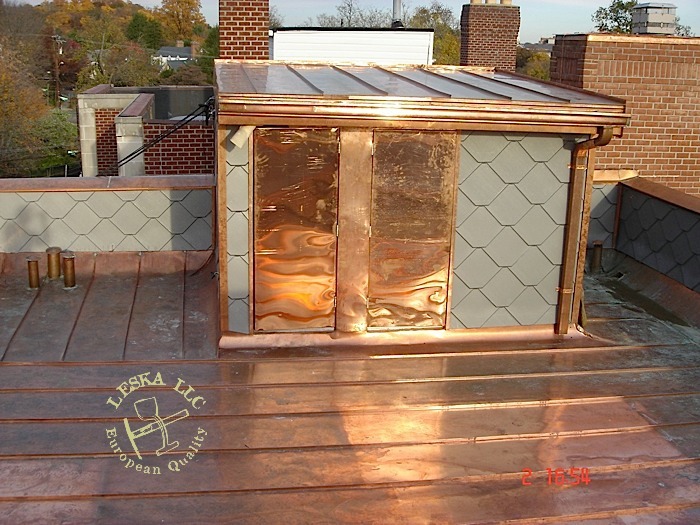 Copper plus or Stainless sheet plated with super thin layer of copper was used. 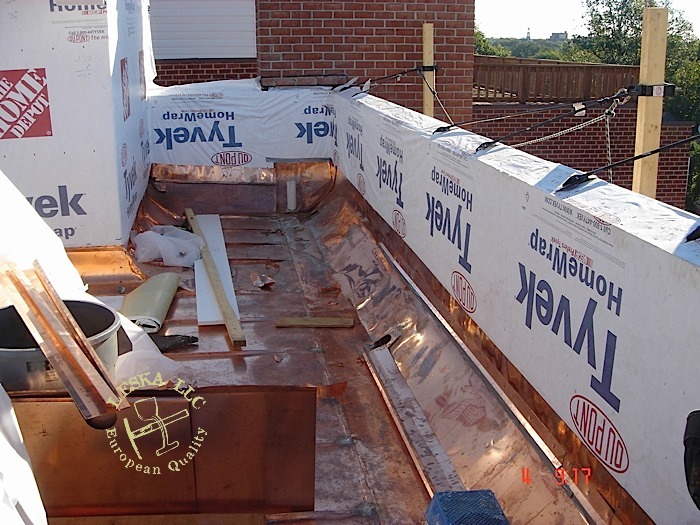 In addition Copper received special clear coating and all transitions use 2 layers of stick and peel high temperature underlayment as separation from direct contact. 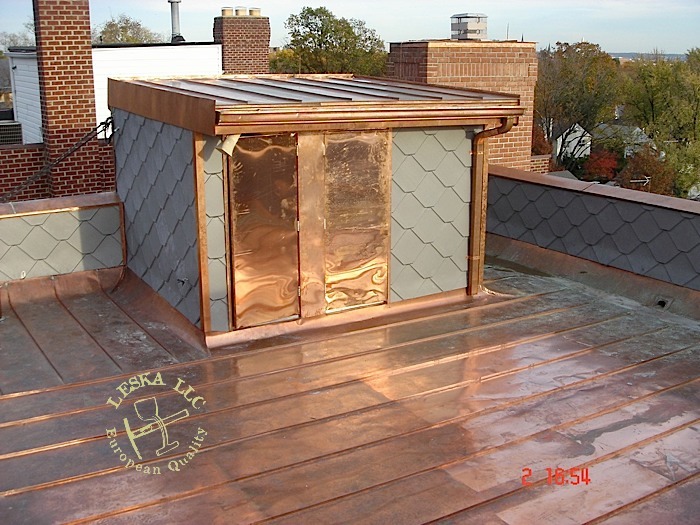 Design and installation by Leska LLC. 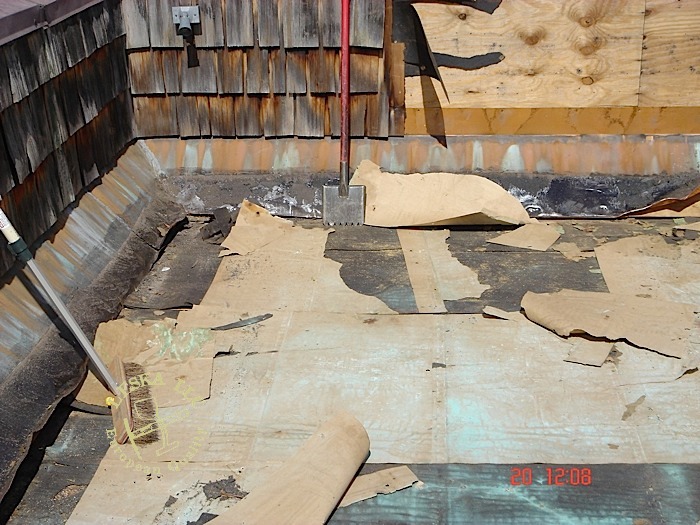 No architect were involved. 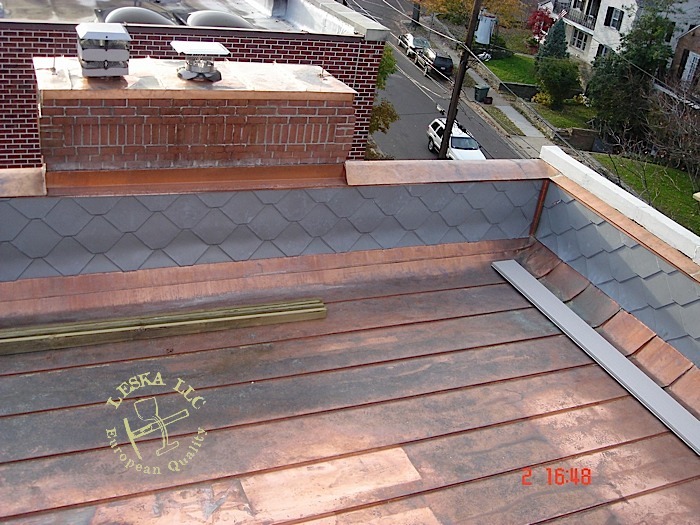 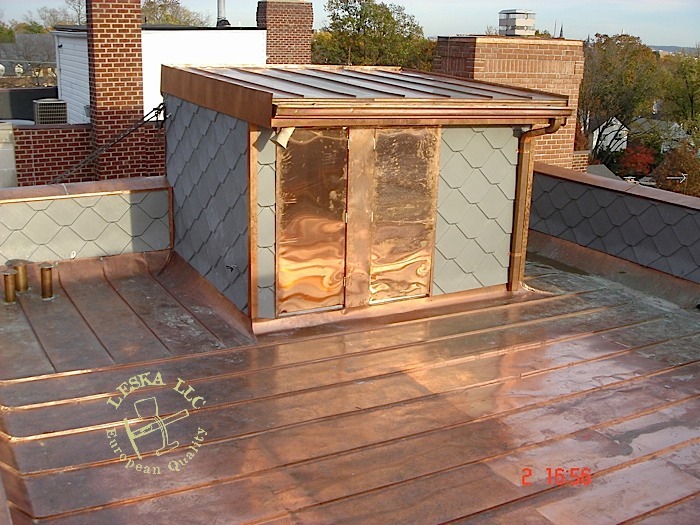 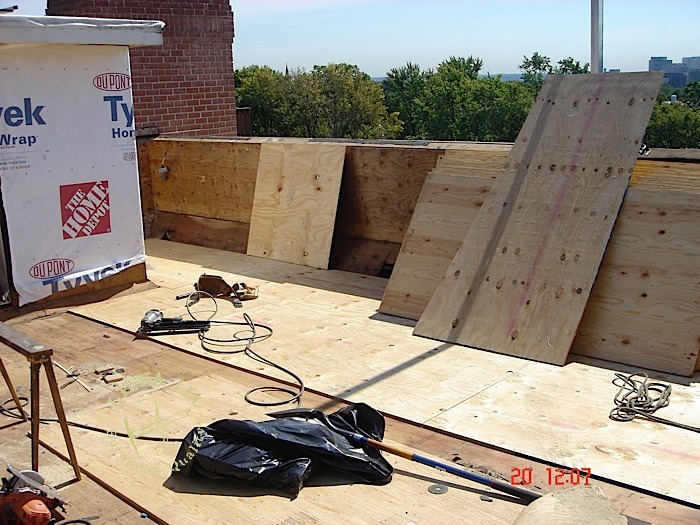 Also entire flat roof have copper standing and fully soldered flat lock seam. 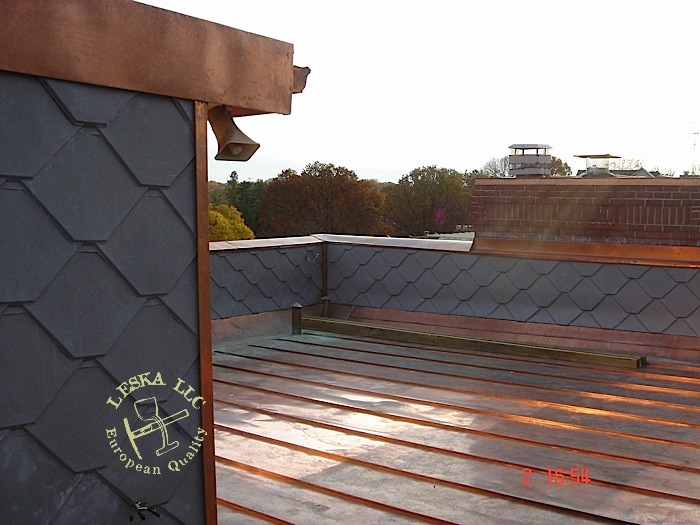 Atas Castletop tile used as interior parapets also & mechanical room.